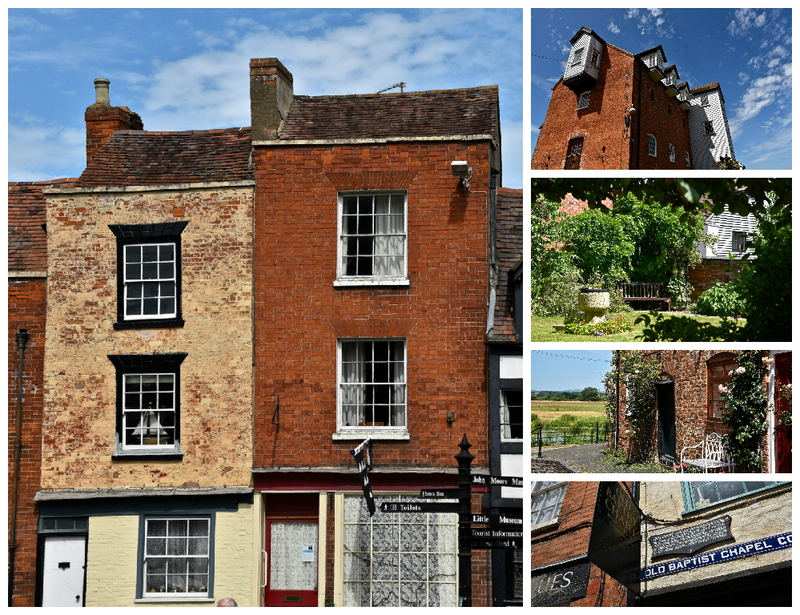 I recently went on a road trip with one of my friends and picked out the town of Tewkesbury. at random. 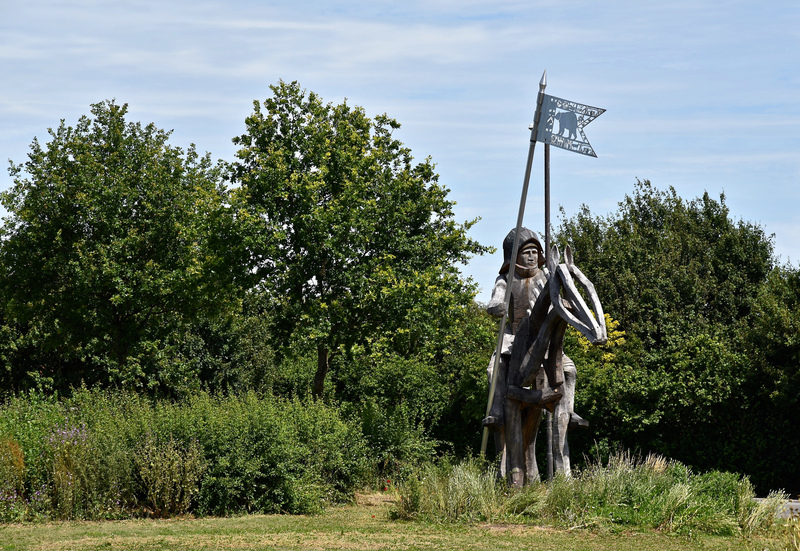 It was an inspired choice as it happens and we arrived at an historic settlement located at the point where the River Severn and River Avon meet. These rivers were much in evidence in 2007 when Tewkesbury made headline news along with other Gloucestershire towns, suffering from serious flooding. It was peaceful when we visited however. 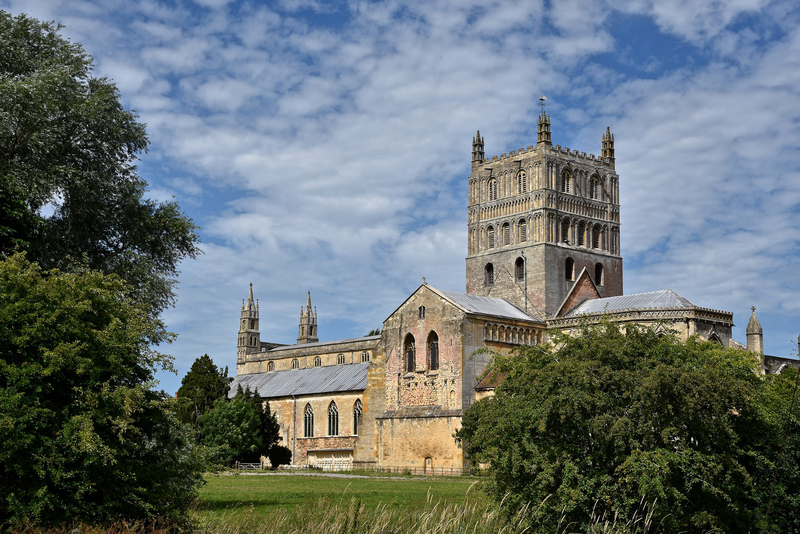 The flags were up for the weekend’s July Tewkesbury Medieval Festival and our first port of call was Tewkesbury Abbey. Built to house the Benedictine Order of monks, the Abbey was near completion when consecrated in 1121. 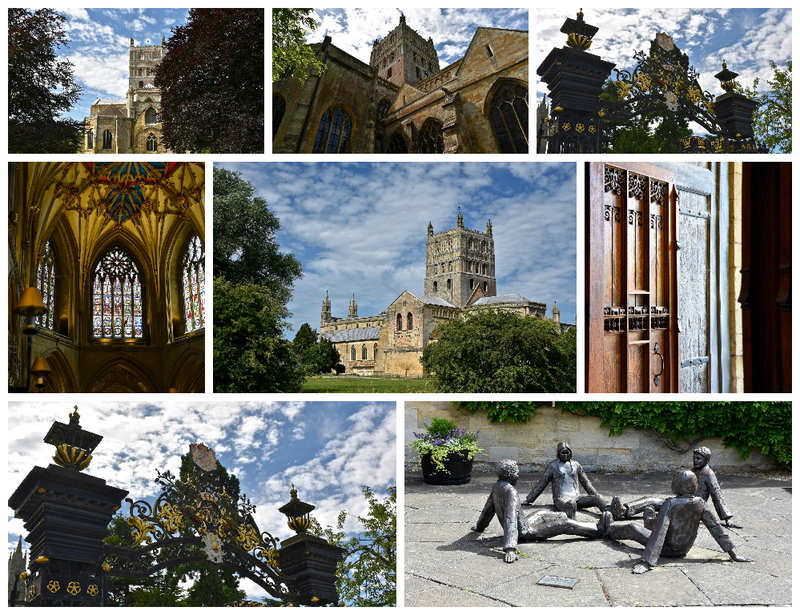 It’s a stunning example of Norman architecture and the second largest Parish Church in the country. Close by, we wandered down to the river bank and along some of the narrow medieval alleyways, enjoying the crookedness of the ancient buildings as they’ve aged over the years. 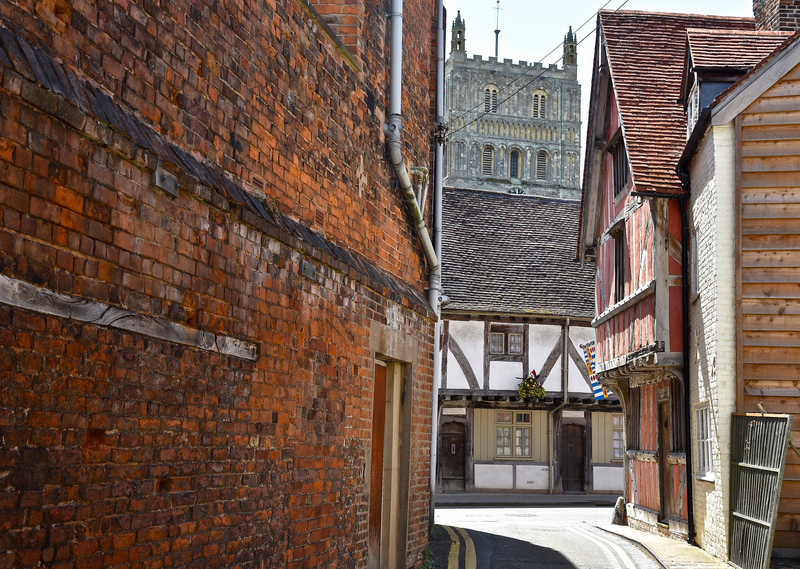 We’d allowed ourselves just a couple of hours to see around Tewkesbury which for me, just wasn’t enough time so have pencilled this gentle town onto that ever-growing bucket list of destinations to return to when I have the time. Things we didn’t do were visits to the Tewkesbury and the John Moore Museums, to the Old Baptist Chapel (by appointment only) with the memorials to the Shakespeare family, a visit to the fields where the most decisive battle in the Wars of the Roses took place between the houses of York and Lancaster in 1471 and a gentle cruise along the River Severn. All would enhance any visit. 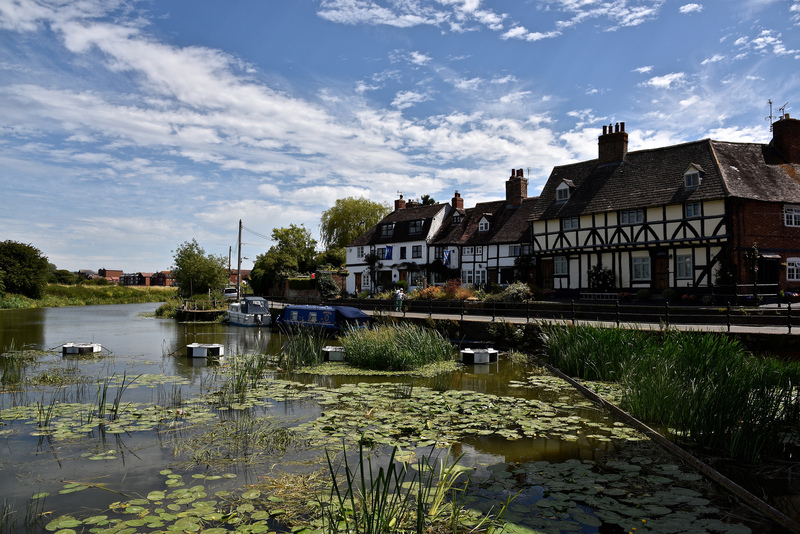 We also missed the opportunity of trying out the famous Tewkesbury Mustard in situ, once England’s premier mustard until that usurper, Colman, came along with his mustard flour. 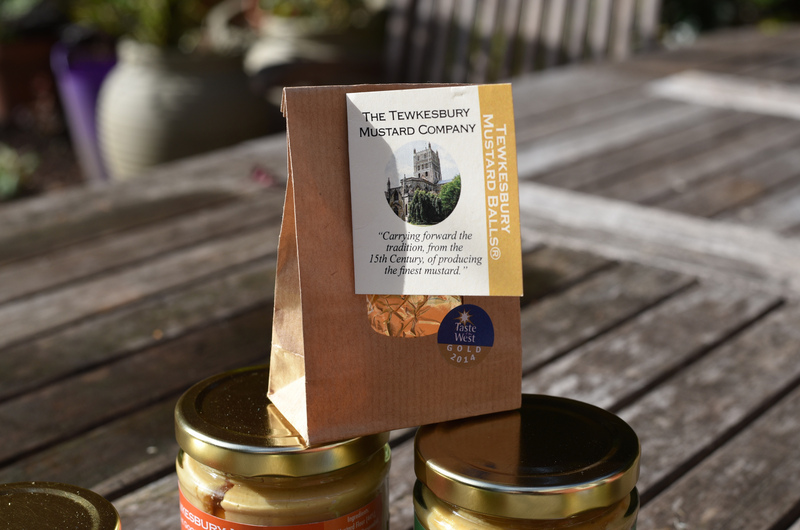 It appears that The Tewkesbury Mustard Company has taken up the gauntlet again to make artisan mustards in the traditional way that Henry VIII and Shakespeare himself would have enjoyed. Thanks to a gift from my brother and the benefit of an online shop, I’ve since had the good fortune to try them out. 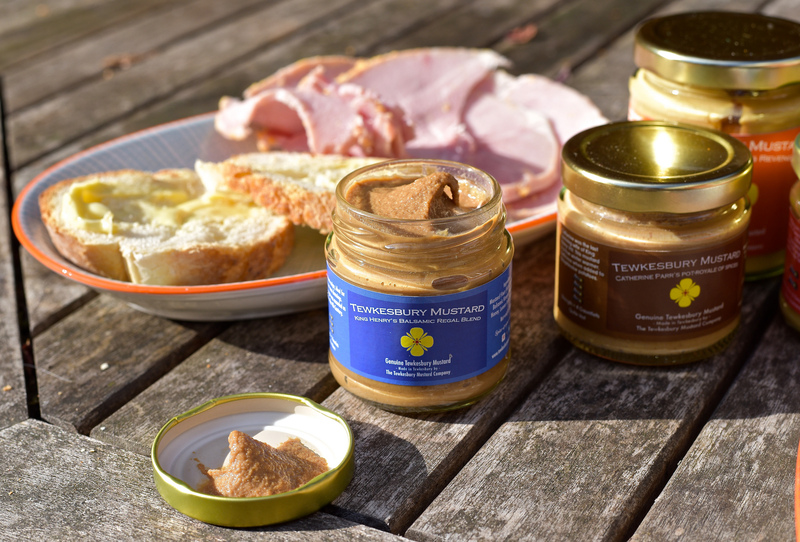 Very tasty they are too (my favourite unexpectedly being the Catherine Parr Pot-Royale of Spice) – a four gauntlet mustard which apparently is great with turkey, in mayonnaise and incredible in dauphinoise potato. We all remember, don’t we dear reader, that in Shakespeare’s Henry IV, he gave the following words to Falstaff, describing Poins as having “a wit as thick as Tewkesbury mustard”. Well know we all finally know what he meant, now, don’t we?